What Were the Products That Caused the Most Injuries in 2017? On behalf of admin of JML Law, A Professional Law Corporation posted in Product Liability on Saturday, Jan 27 2018. If you tend to rush out to the shops to get your hands on the hottest new product, you’re not alone. There’s something very satisfying about being an early adopter, whether you’re interested in the latest cellphone, car, toy or trying new foods. Shiny new things are so much fun to play with… until the moment something goes wrong. The saying “it’s all fun and games until someone loses an eye” isn’t meant to be taken literally but, when it comes to product liability laws, it has been realized more than once – just ask our Riverside product liability attorneys. Some products tend to cause more injuries than others, and here’s a quick list of those which earned the dubious honor of qualifying for the top 10. Bridgestone/Firestone Tires – 2000 saw 6.5 million tires recalled after a fault with the treads contributed to almost 175 deaths and 700 injuries. California Beef – you may remember some uproar about California-produced beef in 2008. 143 million pounds of beef were recalled after some improper practices were discovered at a slaughterhouse. Chinese Baby Milk – after a baby died and around 50 more developed kidney problems due to the presence of melamine in powdered baby milk, the manufacturer recalled 700 tons of the product. Extra-Strength Tylenol – It may be your painkiller of choice now but, in 1982, Tylenol laced with potassium cyanide killed 7 people in the Chicago area. Ford Pinto – this is a bit of a blast from the past, but one of the most major recalls related to the 1970s Ford Pinto, where the location of the fuel tank was claimed to carry a high explosion risk. 1.5 million Pintos were recalled in 1978 for retrofitting. Infantino Baby Slings – around 1 million Infantino SlingRider and Wendy Bellissimo slings were recalled in 2010 after the products were linked to three infant deaths. A total of at least 14 potential deaths by suffocation have been investigated. Peanuts – A 2008 salmonella outbreak was traced back to Peanut Corp. of America products, leading to the company eventually going bankrupt. Simplicity Drop Side Cribs – a defect in the detachable sides of these cots led to the suffocation of an 8-month old baby, and recall of 2 million cots over a period of a few years. Toyota Gas Pedals – defective cars can have devastating consequences, and Toyota was forced to announce two recalls in just 3 months after faulty gas pedals in certain models led to unintended acceleration. Over 9 million cars were recalled in total. Vioxx – Arthritis drug Vioxx was recalled globally in 2004 after it was found that using the drug for more than 18 months could significantly increase the risk of heart attacks and strokes. 27,000 lawsuits were brought by people affected. Have You Got a Product Liability Case? 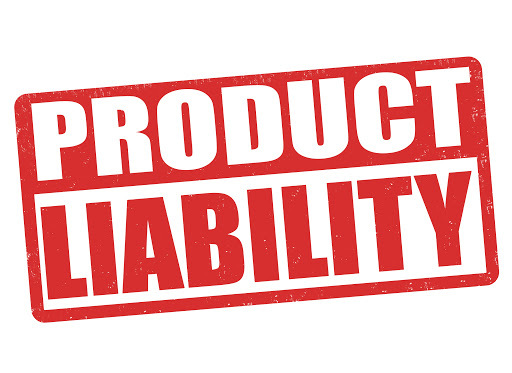 Product liability laws can apply to injuries caused by defective products, where the product can be proven to be defective by design, have a manufacturing defect, or offer a lack of adequate warning or instructions. Injuries caused by defective products can be life-changing, as illustrated by some of the examples above so, if you or a loved one have been affected, make sure to work with an experienced Riverside product liability attorney to get the best possible outcome from your case.